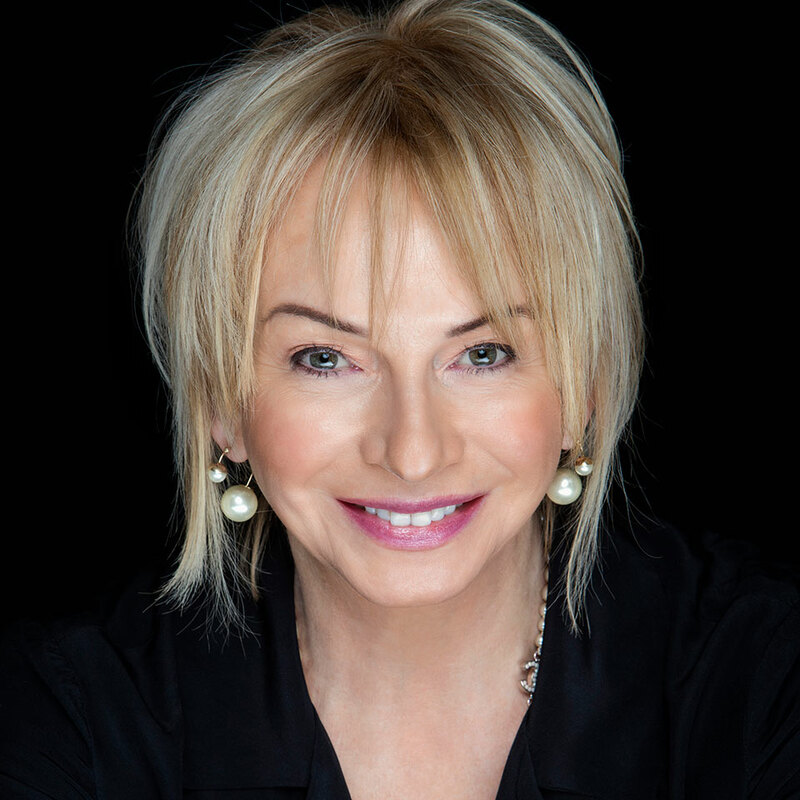 Award-winning producer Judy Craymer has worked extensively in the theatre, film, television and music industries. Judy originated the idea of MAMMA MIA! and, in 1996, formed Littlestar Services Limited with Benny Andersson, Björn Ulvaeus and Richard East, to produce the stage musical in London. Since then, she has produced 50 productions of MAMMA MIA! in 16 languages around the world. Among the show’s many accolades it received five Tony Award nominations in 2002 including Best Musical. As of its final performance in September 2015, MAMMA MIA! was the eighth longest-running show in Broadway history. This year the flagship production in London - running at the Novello Theatre - will celebrate it’s 20th anniversary. In 2002, Judy was presented with a Woman of the Year Award in recognition for her international success with MAMMA MIA!. Judy, who graduated from Guildhall School of Music in 1977, was awarded a prestigious Fellowship from the school in 2006. She was honoured with an MBE on the Queen’s birthday honours list of 2007 for her contribution to the music industry. In 2008, Judy produced MAMMA MIA! THE MOVIE, starring Meryl Streep and Pierce Brosnan. That same year, she was honoured with the Women in Film ITV Achievement of the Year Award. MAMMA MIA! THE MOVIE was also nominated for a Golden Globe for Best Motion Picture – Musical or Comedy, a BAFTA for Outstanding British Film, and Judy was personally nominated by BAFTA for the Carl Foreman Award for Special Achievement. MAMMA MIA! THE MOVIE is the highest grossing live-action musical film worldwide. Ten years after MAMMA MIA! THE MOVIE grossed more than $600 million around the world, Judy produced an all-new original movie, extending her initial joyful concept. A meeting with Richard Curtis provided the idea of a prequel, sequel which led to Ol Parker writing and directing MAMMA MIA! Here We Go Again, reuniting the original cast of Meryl Streep, Pierce Brosnan, Colin Firth, Stellan Skarsgård, Julie Walters, Dominic Cooper, Amanda Seyfried and Christine Baranski to reprise their roles. They were joined by Lily James, Jessica Keenan Wynn, Alexa Davies, Hugh Skinner, Josh Dylan, Jeremy Irvine plus Andy Garcia and Cher joined the MAMMA MIA! family. Since opening in July 2018 the movie has become the most successful live musical movie sequel of all time grossing just less than $400 million. In 2010, The Breast Cancer Research Foundation presented Judy with its Humanitarian Award for her commitment to raising breast cancer awareness and research funding around the globe with MAMMA MIA! and through the sale of the specially created Rock Chick Supremo T-shirts. Following a passion for horses and competitive show jumping when she was younger, after 30 years Judy has renewed her interest in equestrian sport, including competitive dressage, national hunt racing and show jumping. In 2012 she was made an ambassador for the British Equestrian Showjumping team, and was proud to support them when they won the gold medal in the London Olympics, and again when Nick Skelton won the individual gold medal in 2016 in Rio. Judy is a recognised member of the Producers Guild of America. Follow Judy Craymer on Instagram for the latest content and behind-the-scenes photos from MAMMA MIA! The Musical and MAMMA MIA! HERE WE GO AGAIN.